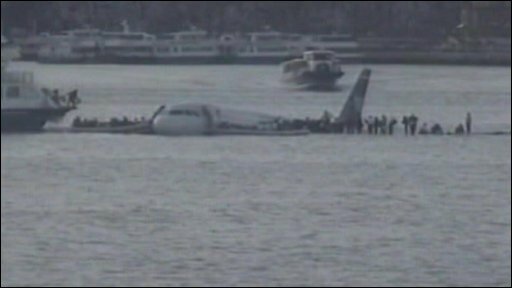 New pictures showing the moment a US Airlines passenger jet crash landed in the Hudson River have been released by harbour authorities. The pilot was forced to ditch, when his engines failed, shortly after take-off. All 155 passengers and crew survived. Greg Wood reports.